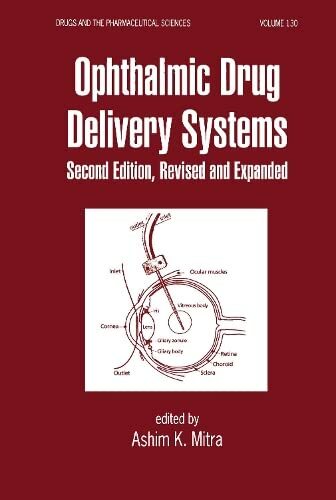 [PDF] Ophthalmic Drug Delivery Systems, Second Edition (Drugs and the Pharmaceutical Sciences) | Free eBooks Download - EBOOKEE! Description: The second edition of this text assembles significant ophthalmic advances and encompasses breakthroughs in gene therapy, ocular microdialysis, vitreous drug disposition modelling, and receptor/transporter targeted drug delivery. No comments for "[PDF] Ophthalmic Drug Delivery Systems, Second Edition (Drugs and the Pharmaceutical Sciences)".